How many times can you say that you faced a fire breathing behemoth unscathed? 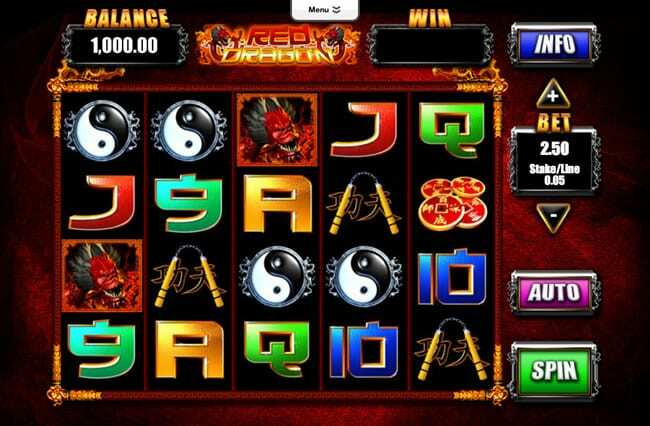 Well, in Blueprint Gamings Red Dragon: a unique casino slots on the internet game with a great theme and surprising twists and turns that are to excite and amaze. 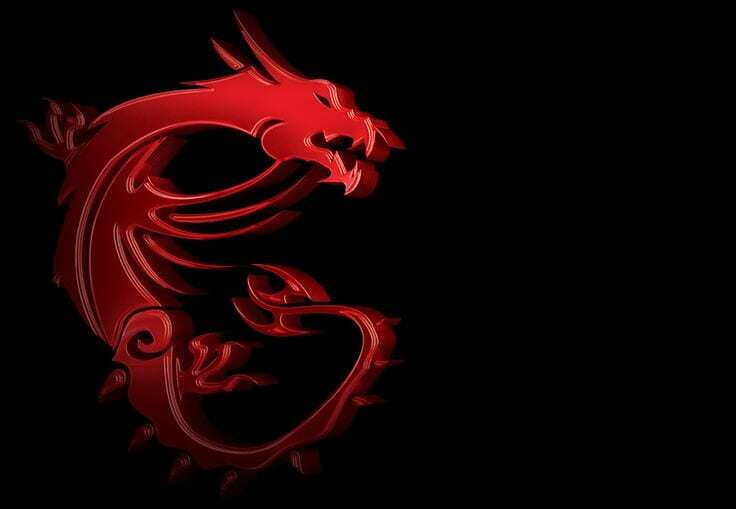 Infiltrate the dragon's lair and reap the rewards of the spoils you make it out alive with, that is the basic premise of Red Dragon. You play as a ninja, one that has probably trained his entire life to defeat the dragon in this tale. Everything about this game is very based on the colour red, which is the universal sign for danger and rightfully so there’s a fire breathing dragon about! Fire and the use of yellows where appropriate make this game a very vibrant title, with fonts and buttons all taking the shape of something you’d find in a game that is very influenced on Asian culture. The very blueprint of the online gaming industry ironically flows through the veins of the very appropriately titled Blueprint Gaming game company. With an extensive list of titles, Blueprint pride themselves on creating lasting experiences for many to enjoy. Themed games are their strong-suit and will continue to be moving forward with every new release as they begin to carve themselves a very big part of the online gaming industry. Try to check out our video slots games produced by Blueprint Gaming. Symbols take the shape of various items you’d expect most ninjas to carry, nunchucks, throwing stars and sai blades are just a few of the notable examples on show here. Each symbol will reward different scores depending on how many are matched in the same winning combination. These symbols are all re-designed to fit the feel of this game. We also prepared a helpful for players to read more. 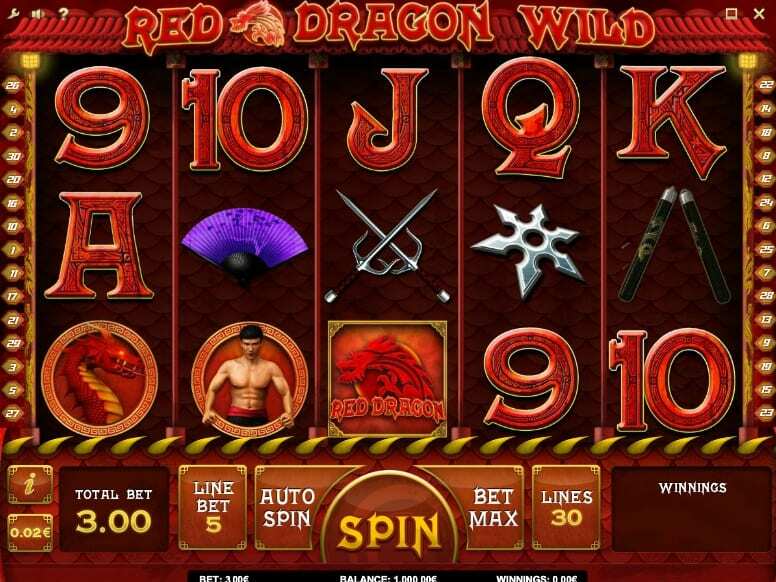 You’ll recognise some of the online slot favourites almost immediately, the numbers 9 and 10 as well as the Jack, Queen, King and Ace are all on display here.You really want to be looking out for wilds and scatters as these symbols will provide the player with the chances to increase their score almost double depending on what and where you match. If you are one of those players who likes to kick back and relax there is always the auto- play feature which allows you to set a stake and the amount of games you wish to play in the background. You can cancel the auto-play mode at anytime and is strictly there for you to see rewards while not fully being invested in the game if you are only after a slot with a good pay-out percentage (something Red Dragon has very much so).